Home Tags Posts tagged with "Imeretian cheese"
By now, you have doubtlessly made pounds and pounds of the Imeretian cheese I blogged about earlier this week. 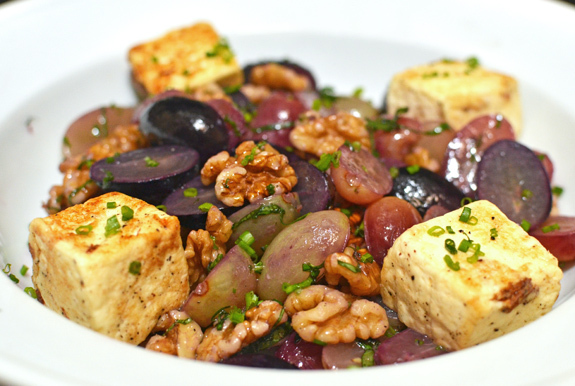 You must be wondering “oh, what to do with all this delicious cheese?” Brush aside all the fuss about seasonal cooking, and try this very simple salad, one of the simplest posts on my entire blog! The dish is inspired by something I found in Michael Natkin’s Herbivoracious. I wouldn’t necessarily recommend the book; I only found the one recipe interesting. But this salad tastes great, and uses typically Georgian ingredients. So you want to make your own cheese but don’t want to break the bank buying a cheese press? You don’t want to spend your weekends monitoring the temperature of your milk, or get up in the middle of the night to heat / stir / drain / flip your curds every 30 minutes? Well why not try Imeretian cheese! 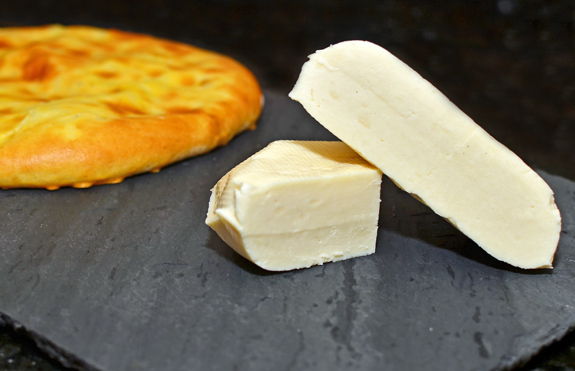 Imeretian cheese is a fresh cow’s milk cheese. Although it originated in the Imereti region, you can find it everywhere in Georgia, whether it’s homemade or bought at the market. There are many variations, the subtleties of which haven’t really been recorded in a book so far, to the best of my knowledge. This is the cheese traditionally used in khachapuri, the infamous Georgian cheese bread. This is also the basis for another well-known Georgian cheese called sulguni (more on this in another post). My recipe is adapted from Tinatin Mjavanadze’s Georgia with Taste and is as simple as it gets. I’ve seen more complicated versions, some of them adding buttermilk starter, but I’ve tried them and found the results to be inferior. All you need to prepare my Imeretian cheese is rennet (which can be purchased here), a big pot, a sieve, and a thermometer. The cheese only takes 3 hours to make, followed by aging, and requires minimal active participation — you can easily do something else at the same time. Add the rennet, and stir with a spatula for 1 minute with an up-and-down motion. Cover, then let rest for 45 minutes. Timing is important to obtain the right acidity level and texture. Cut the curds into 1″ blocks with a knife, then stir very gently with a wire whisk to get pieces about 1/10″ large. Let rest for 20 minutes. 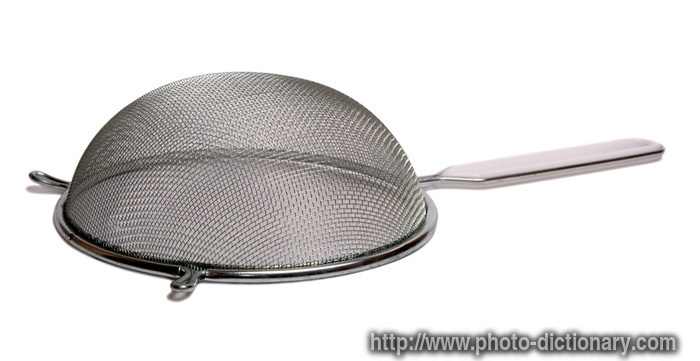 Pour into a sieve to drain. After 5 minutes, collect the whey — you should have about 1 qt. Gently scrape the sides of the sieve with a spatula to help drain the curds faster. Wait another 15-20 minutes, then collect the whey again, and scrape the sides again. Wait 45 more minutes to collect the whey one last time. You will have about 3 qt of whey (there will still be a little bit more liquid draining for the following couple days). Let the cheese rest in the sieve at room temperature for about 8 hours. Remove the cheese from the sieve, weigh it, and measure 1.5% of that weight in salt. Sprinkle the salt on both sides, then wrap in plastic film, and refrigerate for at least 2 days. The cheese can be kept in plastic wrap for about a week, or in a salty brine for a few weeks.